Perhaps you’re like me, and one of the very first gaming experiences you had on a computer was a text adventure. Sometimes a person is lucky enough to have a first experience, a first taste of something, that is so amazingly, compellingly good that it forever shapes how they think about that thing. 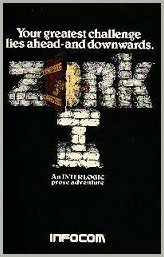 For me, that first thing was Infocom‘s Zork, and it gave me a lifelong love of computers and gaming. 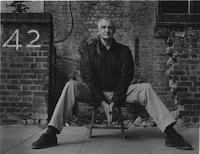 The text adventure was a genre that ruled the landscape of early computer gaming, until advancing graphics technology inevitably supplanted text as the canvas for creating worlds on personal computers. 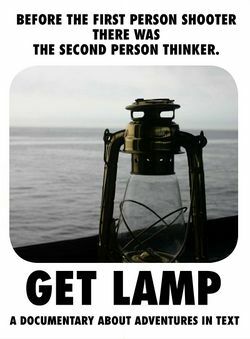 GET LAMP, a documentary directed by Jason Scott, takes a close look at the genre, from its inception as Will Crowther‘s original cave-diving Adventure, to its perfection at Infocom, to its effective demise in the late 80’s and resurgence in the modern era as home-grown Interactive Fiction. As the premiere text adventure company of the era, a particular light is shone on Infocom, producer of classics such as the aformentioned Zork games, Deadline, Suspended, Hitchhiker’s Guide to the Galaxy… the list is exhaustive. Interviews of those involved are numerous and informative, and form a captivating narrative about the company and what it was like to work there. It’s fascinating to hear the founders and game designers talk about how they were convinced they were on the cusp of creating a new type of literature that would stand the test of time. Now we look back with 20/20 vision and it seems so obvious that the writing was on the wall for Infocom even as it began making games, that inherent in the very idea of text adventure computer games is the seed that will sow the company’s destruction. It was inevitable that game designers, inspired by Infocom games, would eventually want to move on from monochromatic text and turn the lights on to see what is actually there. As well, hobbyist IF writers and players also feature in segments that highlight the fact that text adventures have survived and thrived after the demise of Infocom. Be sure to keep an eye out for a secret item in these interview segments. …you were eaten by a Grue. This entry was posted in adventure game, Douglas Adams, Infocom, interactive fiction, text adventure, zork on November 21, 2012 by William Hunter.